In less than a week, the leaders of more than 190 countries will meet in Paris to reach a new agreement to prevent the warming of the earth’s atmosphere from exceeding two degrees above pre-industrial times. 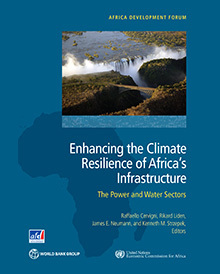 The issue of adaptation will feature more prominently than ever in the discussion. Agreeing to limit warming to two degrees means the negotiators recognize that certain degree of warming is unavoidable. Countries need to adapt, and adequate resources are needed to help poorer countries make the transition. How should countries go about adaptation? The answer is not an easy one. The technological solutions to reduce emissions are well known, but exactly how development decisions in response to anticipated climate change are most effectively made is a lot trickier. Leading up to the 26th anniversary of “Africa Industrialization Day,” a big new report by the UN Economic Commission for Africa (UNECA) puts the structural transformation of African economies through industrialization back in the spotlight as imperative to ensure sustained economic growth and poverty eradication on the continent. 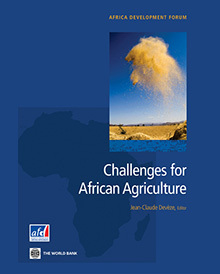 Challenges for African Agriculture was first published in 2008 in French by Karthala, and then in English by the World Bank in 2011 as part of the Africa Development Forum Series, in partnership with Agence Francaise de Developpement. 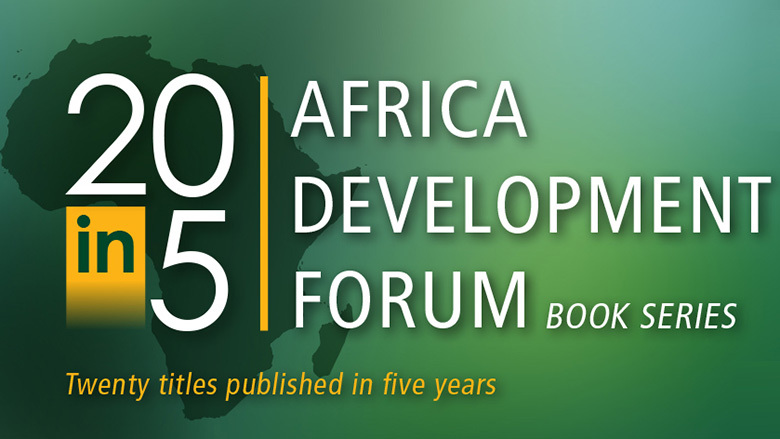 The book deals with the challenges facing Sub-Saharan agriculture. Since the work appeared, the rural development challenges analyzed at length in the book, whether demographic, economic, environmental, social, cultural or political, seem even more difficult to contend with. Many Sub-Saharan countries, the Sahel in particular, have yet to begin their demographic transition. The agricultural economy, still largely dominated by small family farms, is hindered in achieving its full potential by the lack of interest demonstrated by weak public authorities and scattered aid agencies. Will Africa benefit economically from its current fertility transition? Between 1990 and 2010, Africa’s birth rate fell from 6.2 to 4.9 births per woman. Such a decline was expected to enhance the region’s schooling and development prospects, by creating a historical opportunity for a ‘demographic dividend.’ In theory, dividends result from a temporary reduction in age-dependency ratios as birth rates fall. In practice however, dividends and the conditions under which they emerge are hard to pin down. Is muscle or machine the future of agriculture in Africa? Most of Sub-Saharan Africa’s (SSA) economies are dominated by the agriculture sector. On average, agriculture accounts for 32% of gross domestic product and employs 65% of the labor force. In some countries, it contributes over 80% of trade in value and more than 50% of raw materials to industries.